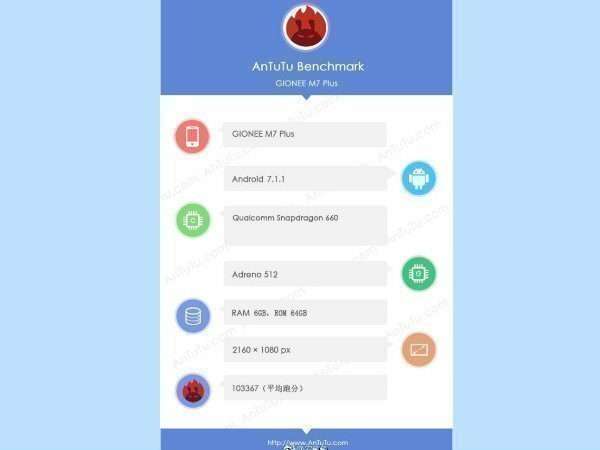 Gionee M7 Plus has made its appearance on GXFBench as well as on AnTuTu and the key specifications of the device have been revealed. Gionee earlier said that it is going to launch 8 full-screen smartphones this month. The company just released Gionee M7 Power yesterday which comes with a full-display and now we have seven more devices to look forward to. 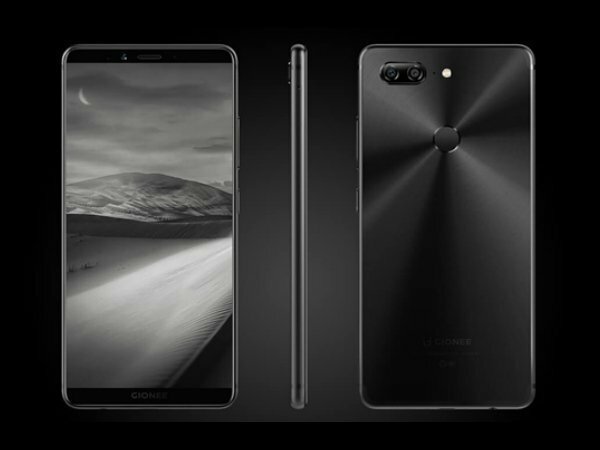 As far as speculations go the M7 Plus will mostly be accompanied by Gionee S11, F6, F205, GNF5006L, M2018, and Steel 3 for November 26 announcement. While we wait in anticipation, new leaks about Gionee M7 Plus have started surfacing online. 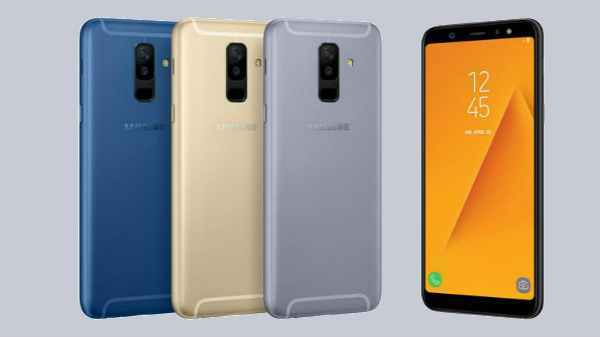 The smartphone has made its appearance on GXFBench as well as on AnTuTu and the key specifications of the device have been revealed. Talking about the listings, GFXBench reveals that the smartphone will come with a 7.5-inch full-screen display with an 18:9 aspect ratio and resolution of 2160×1080 pixels. Gionee M7 Plus is powered by Snapdragon 660 chip which is paired with 6GB RAM and 64GB ROM. The handset sports an 8MP front camera and a 16MP main camera. 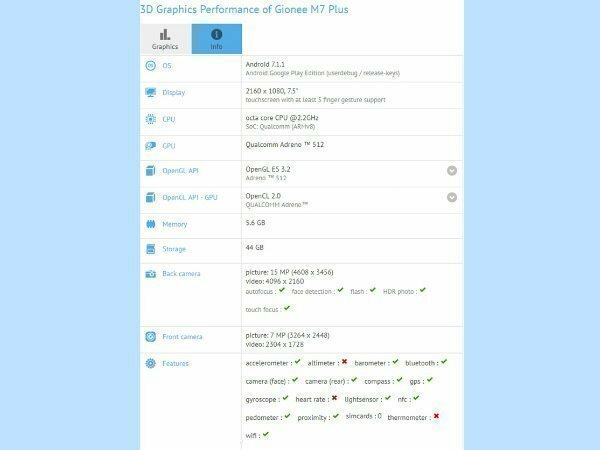 As for AnTuTu, the listing reveals that Gionee M7 Plus will be powered by Snapdragon 660 chipset coupled with 6GB of RAM and 64GB internal storage. 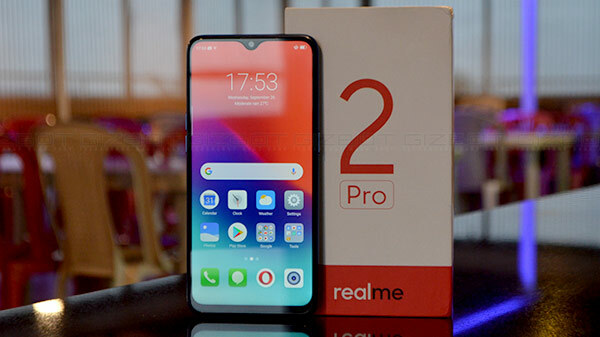 However, the database details show that the smartphone will sport a 6.43-inch display (18:9 aspect ratio) with 2160 x 1080 pixel resolution. The graphics will be handled by Adreno 512 GPU. Furthermore, the smartphone is running Android 7.1.1 Nougat. The M7 Plus has scored 103,367 points on AnTuTu benchmarks. 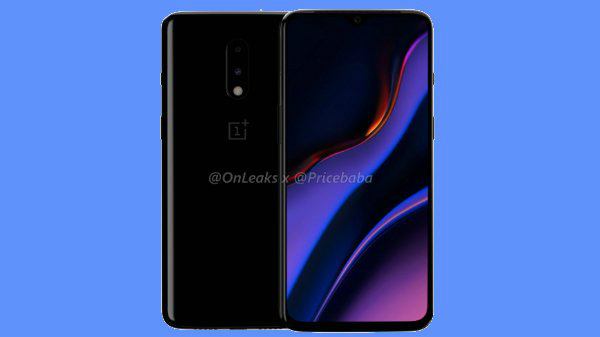 Considering the speculations it looks like the device will be a mid-ranger and should be priced accordingly. However, we are assuming that the smartphone will provide a smooth performance provided by impressive features that the phone is bringing.